There's no shortage of businesses seeking to cash in on the Pooch Pound. From pot noodles to popcorn, taking an established product category and turning it into something more refined has been a common route to success for many of Britain’s entrepreneurs. ‘Premiumisation’ has given us the likes of Chase Vodka (voted best in the world), Pieminister's multi-award winning pies and Fever Tree’s premium mixers. Unsurprisingly this is a trend that has also crept its way into the market for pet products. 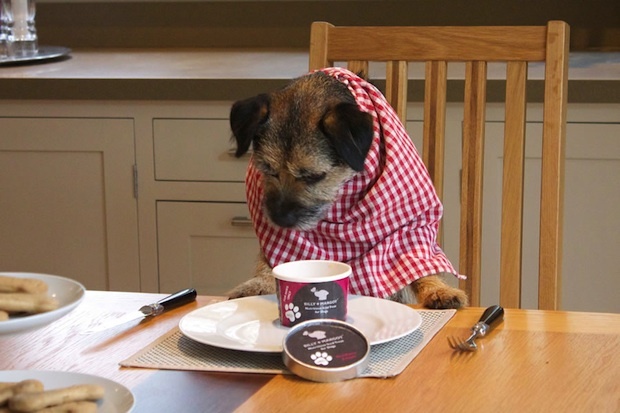 A report this year by Euromonitor said the UK market for pet food grew by 4% and pet products by 5%, and that it expected prices to rise further in the future due to growing demand for premium goods. ‘As the signs of economic recovery intensified, pet owners were keen to get the best for their pets, in spite of rising prices observed across all categories,’ it noted. She came up with the business after a particularly hot day one summer when she gave her dog, Billy, some ice cream, before realising it wasn’t very healthy for a dog. After searching online she was surprised to find a total lack of iced treats for dogs and decided to make them herself. It’s certainly captured some public attention. Turnover doubled this year and 150,000 tubs have been sold since launch. Last year Marie sold a 40% stake to Deborah Meaden on Dragons’ Den for £60,000 and she’s recently sold 18 palettes of ice treats to Holland. Pet products are something the producers of Dragons’ Den clearly have a hankering for. Another business pursued (unsuccessfully) by Deborah Meaden was Pure, which makes human grade, dehydrated dog food. High quality ingredients including duck, apple, potato and eggs are dried out to preserve them and lock in flavour and nutrients and then mixed with water before eating. It sounds pretty tasty but MT is unaware if any owners tend to tuck in alongside their mutts. He doesn’t expect to regret the decision. Sales have boomed since the show aired and the business is now manufacturing 1,000% more product than at the start of the year. 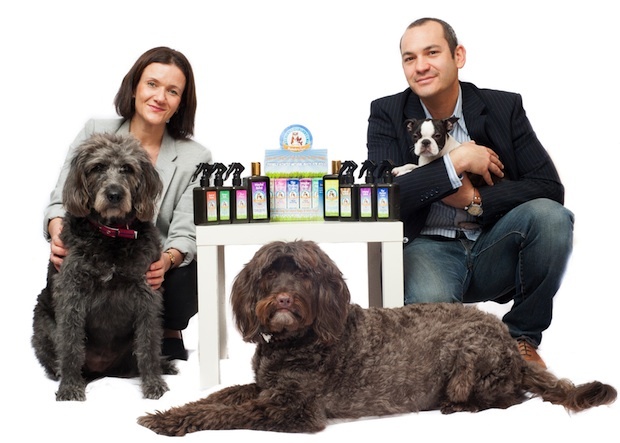 Another business capitalising on this 'humanisation' is Butch & Bess, a brand of dog grooming products including natural perfume and detangler spray made with essential oils. He adds that sales figures are where they were hoping to be at this point and the business is now looking to take on a large investment. It's currently finalising plans to launch the brand with a North American partner. On a well-heeled street in London’s Belgravia you’ll find the boutique Mungo & Maud, a ‘dog and cat outfitters’ targeting particularly discerning clients. Its range includes cashmere sweaters for dogs (starting at £129), a corduroy cat bed for £180 and even a leather pouch for carrying dog poo bags. The company was founded by husband and wife Michael and Nicola Sacher in 2005 and it’s since expanded to another store in Notting Hill, a concession in Harrods and an ecommerce operation, including a distribution facility in North America. Like many entrepreneurs their business was inspired by their own struggle to find the products they wanted. ‘We found it was very difficult to find well-designed home accessories for someone who had dogs that would fit into a home and a lifestyle that had been well curated by the people whose home it was,’ Michael Sacher says. ‘There was very little other than what was available through traditional pet stores which tended to be quite price driven and not necessarily very nicely designed and not necessarily fabricated from good quality raw materials. 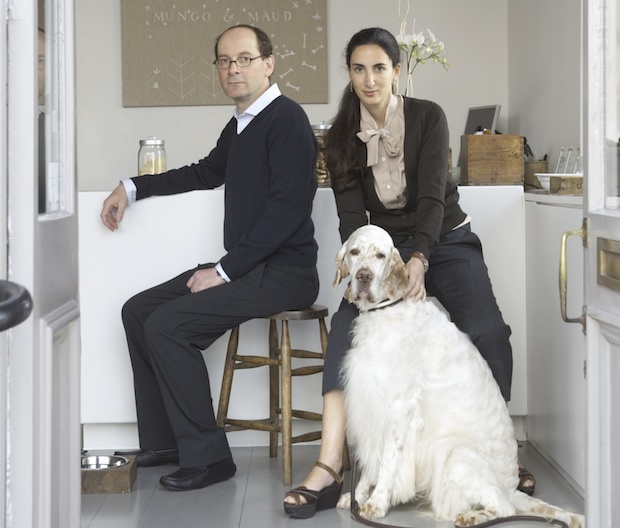 Mungo & Maud takes quite a conservative approach to the market (‘We don’t do bling, we don’t really do bright colours at all', Sacher says) and, unlike the other entrepreneurs MT spoke to, is focused more on the lifestyle of its customers than the humanisation of their animals. If you've got a precious pet to pamper this Christmas or just want to make sure Fifi's lead matches your shoes then it looks like you'll be spoilt for choice.